In the business of corporate and investment banking, it’s not just the thought, but the quality and inventiveness of the thinking that counts. That’s why we at RMB do not subscribe to business-as-usual practices — rather big thinking that pushes the boundaries to make a difference in the world. 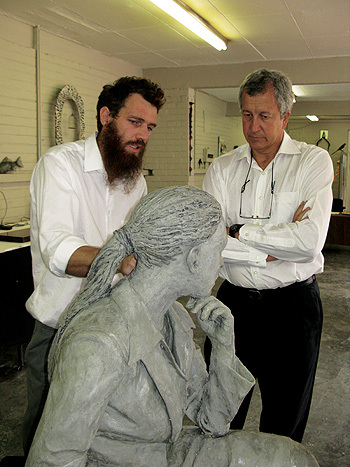 Enters self-taught, South African-born sculptor — Louis Olivier. Oliver was commissioned by RMB through its art curator, Teresa Lizamore, to create a pair of contemporary bookends inspired by Auguste Rodin’s “The Thinker”. These bookends were to reflect both the bank’s Traditional values. Innovative ideas. philosophy, and the innovative thinking people of RMB. These figures would have culturally neutral features and represent the full diversity of RMB’s intellectual capital and client base. Olivier’s initial proposal had both figures as suited businessmen, but RMB felt that the male figure needed a female companion to make the installation more gender balanced. Olivier in the end produced a limited edition of 250 numbered and signed pairs of bookends that became extremely sought after. 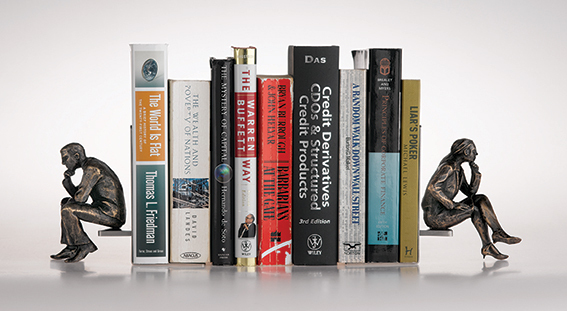 Each set of bookends is hand-delivered by RMB dealmakers to key clients — and where possible, issued with specific numbers that would be significant to its receivers. 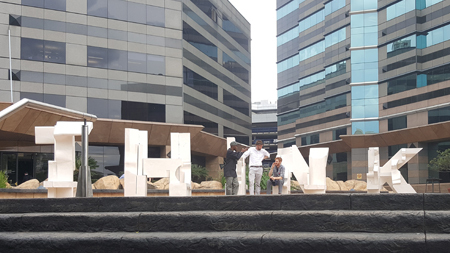 When RMB was one year later approached by the Sandton Central Bench Mark Project to create urban furniture that would make the area (of Sandton) more welcoming, the idea to use the two Thinkers as part of a bench came to mind. Olivier was once again commissioned — this time round to sculpt two life-size artworks of the Thinkers on a 6m concrete ‘floating’ bench. The project became a two-year project from design to delivery and the two figures alone took six months at the Renzo Bignali Artiscti Foundry in Pretoria. 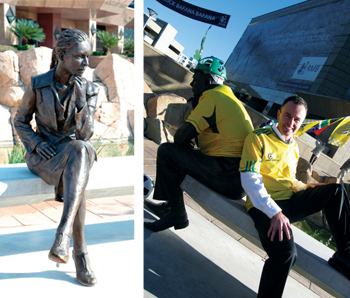 Today the two Thinkers are proudly adorning the pavement of Fredman drive — offering a comfortable seat to passersby waiting for transport and otherwise enjoyed by RMB staff and clients entering the Sandton campus. RMB’s sponsorship of the project raised Olivier’s profile among art collectors, companies and curators for future projects. All made possible by the ability to think differently. RMB commissioned Oliver two years ago to create a piece of art that was both functional and attractive — providing the perfect place to stop and think. 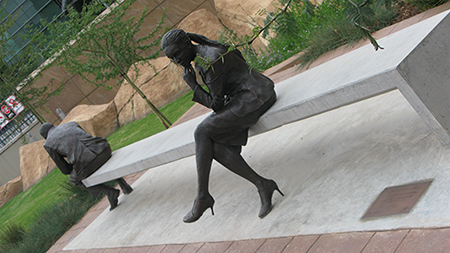 The RMB THINK Bench spells ‘THINK’ from one side and from another appears to be life-size figures interacting at different angles. The THINK benches are ideally aligned with RMB’s philosophy of Traditional values. Innovative ideas. to reinforce RMB’s communication platform of THINKING. PULLING. TOGETHER. Site map Terms and conditions Regulatory disclosure Copyright © FirstRand 2019. All rights reserved.